This healthy Vegetarian lentil soup features white onion, carrots and three different kinds of lentil beans, green, red and brown. 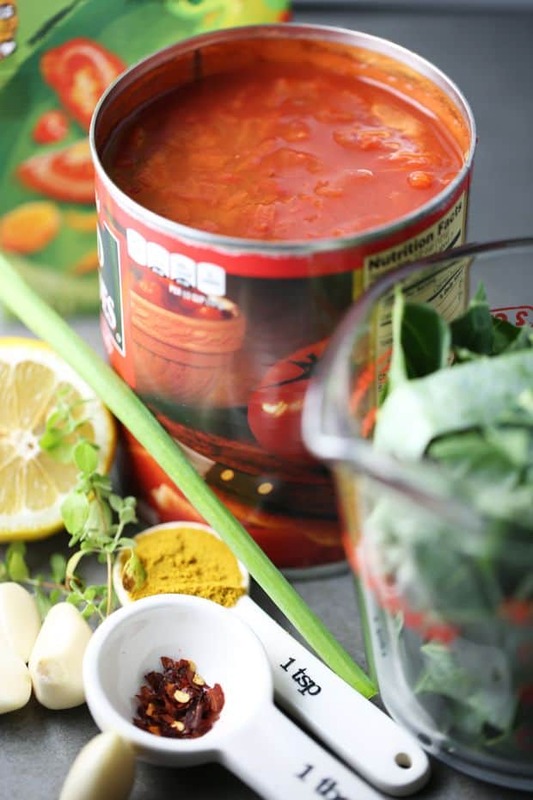 Perfect soup for colder weather, fall or winter. Can be served with bread, chips or by itself. It is amazing in taste and as I stated above healthy! If you find yourself in need for great lentil beans soup, don’t hesitate and go for it. 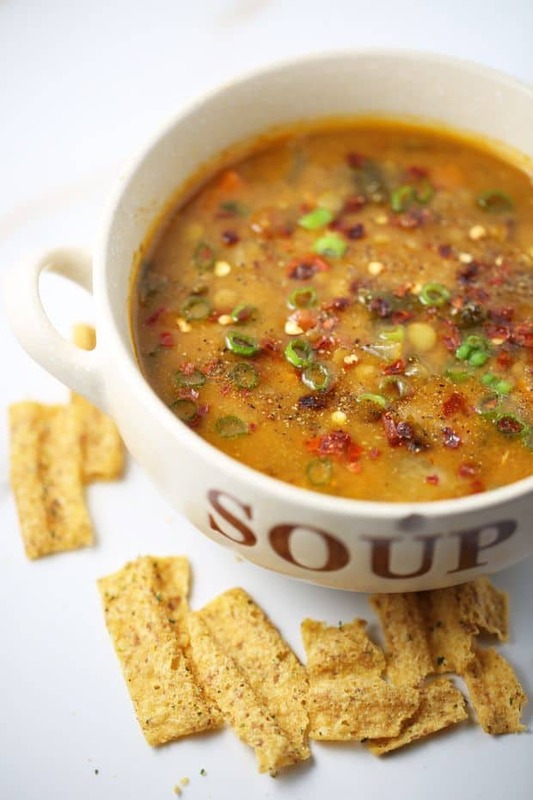 Although this lentil soup calls for quite a few ingredients, it is relatively easy to make. 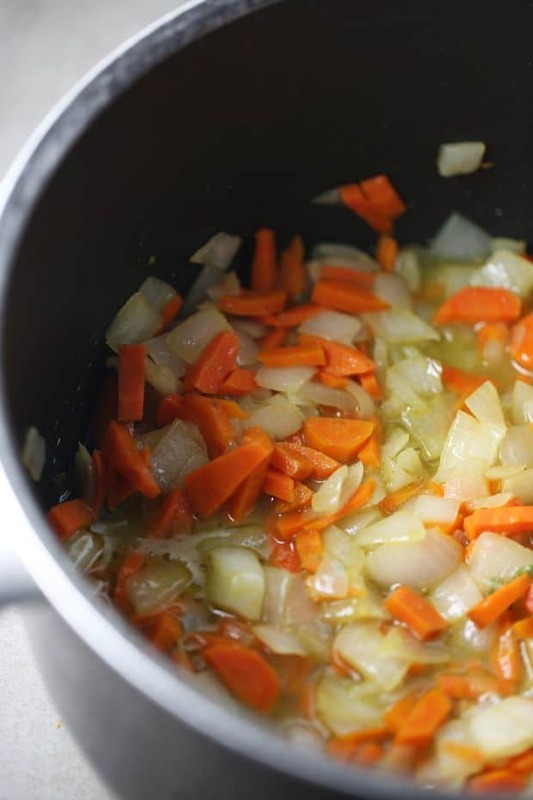 It boils down to 3 core vegetables, onion, carrots, and lentils. 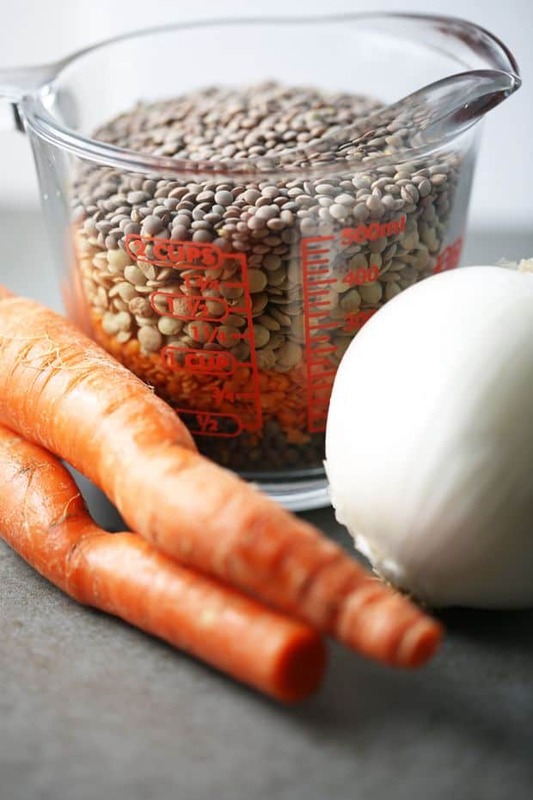 Look at these pretty simple ingredients below that make this delicious vegetarian lentil soup. So here we go! 🙂 Dice an onion peel the carrots and cut into strips. A large pot will be needed to start cooking onions and carrots. I used about 6 quarts pot. Next step is to add water, culinary vegetable stock, tomatoes and bring your soup to a boil and set it to medium. Continue cooking for about 25 more minutes. Add your collard greens ( you can replace collard greens with kale if you prefer)and, season with salt, black pepper, red pepper flakes. Last but not least squeeze the lemon to season with fresh lemon juice and serve while the soup is hot! 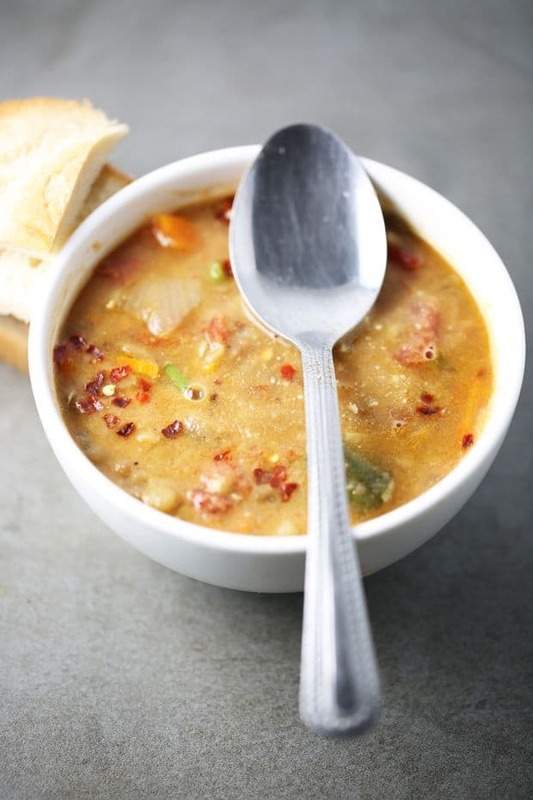 This vegetable lentil soup can be made with a variety of different meats or vegetables. Try chicken, beef, ham hock, bacon, ham bone, sausage or spinach, kale. Honestly it will taste fantastic with any vegetable or meat. 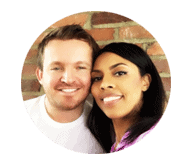 Of course when you get a chance please take a look at more of our soup recipes. 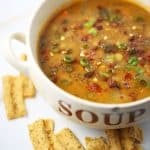 How to make vegetarian lentil soup? Healthy vegetarian lentil soup - White onion, carrots and three different kinds of lentil beans, green, red and brown. I promise you will fall in love with this recipe! 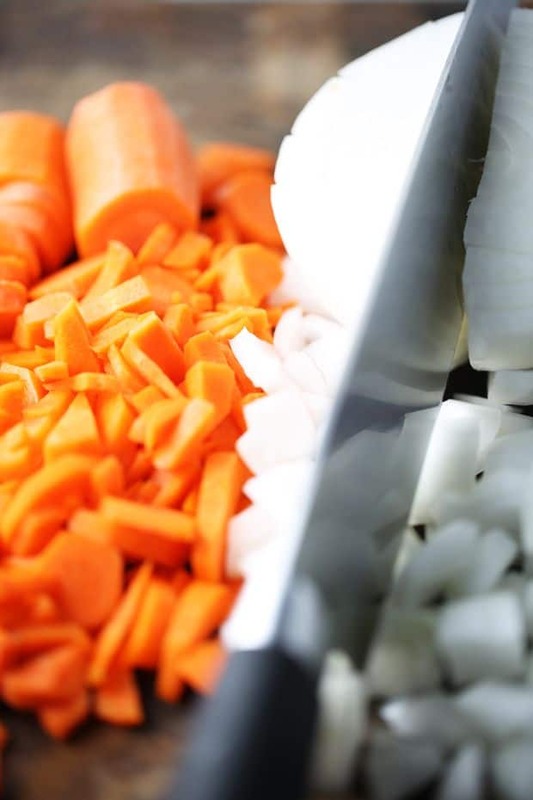 Dice onion into medium small squares, peel carrots and cut into thin stripes. Preheat olive oil in a large size pot (about 6 quarts). Add onion and carrots and cook until onion becomes translucent. Spice with curry and fresh thyme. Take about 16 oz. of soup broth and vegetables and set aside to cool down. 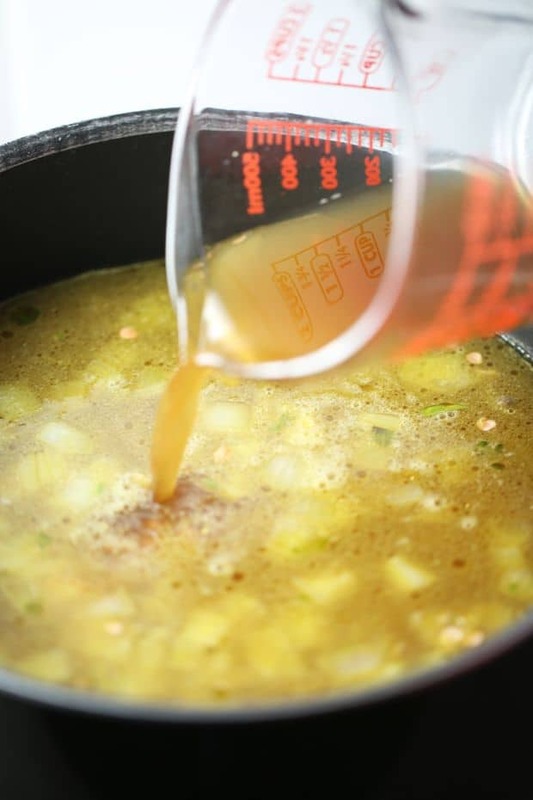 Once it's cool, blend it well and pour back into the pot, which will make the soup texture thicker. Squeeze ½ a lemon and spice with red pepper flakes and thinly cut scallion stem. Serve while hot and enjoy! 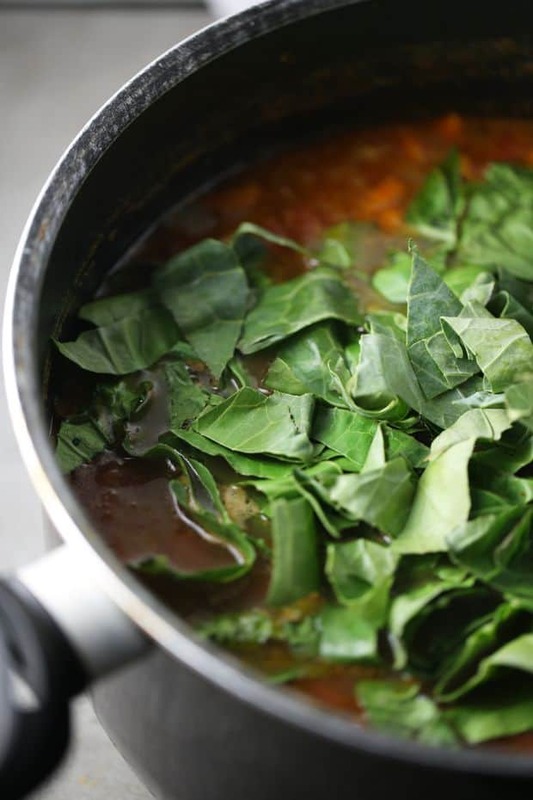 I would love to see Kale in this soup, opposed to collard greens. Yeah, Kale would also be a great option for this soup.